Make your event uniquely yours. 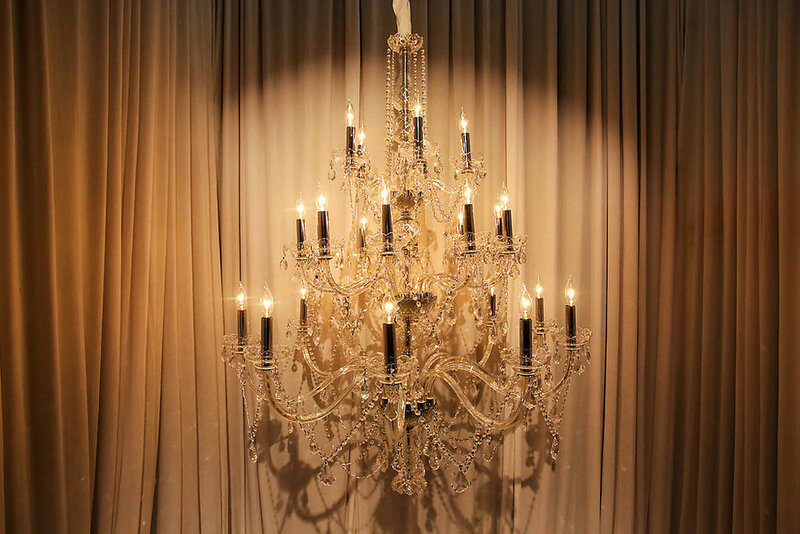 Chandeliers: Please contact us for pricing and availabilty. 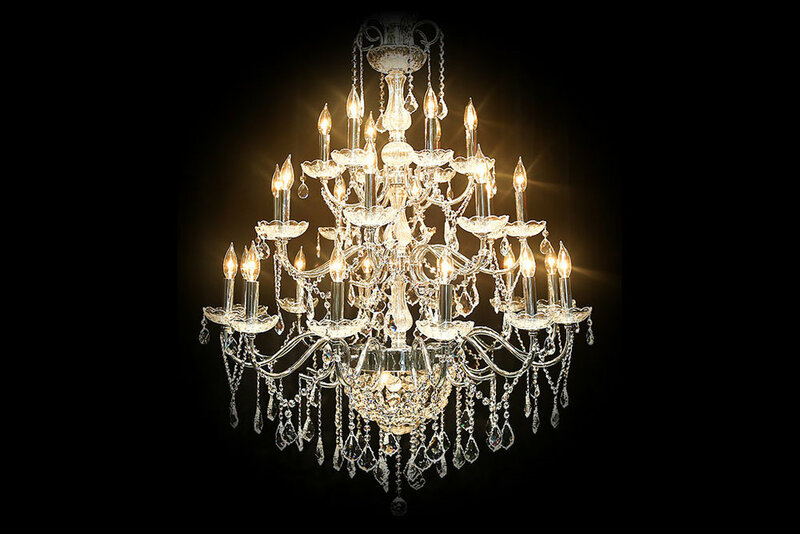 Additional chandelier options are available. All orders will require Labor, On Site Operator, and Delivery. The On Site Operator will be available throughout the event on site to make any lighting color changes, dim lights, and ensure all runs smoothly with the event. GOBO: A template used to project light through onto a floor, wall, or ceiling. This allows us to put your name in lights! Pin Spots: Lights used to accentuate centerpieces, cakes and desserts, or provide functional lighting on guest tables, bars, or buffet tables. With a dedicated light on the the features of the room, there is a new depth and character highlighted! Up-Lights: Installed on the perimeter floor of the room, these are the lights that make the whole room glow with an ambient hue. At Hutton, the tapestry’s and walls come to life! We have over 60 colors to choose from! Wash: Similar to a “Pin Spot” used to highlight important features of your event. With a wider spread of light, these are more useful on big tables and large flower arrangements, bands, or dance floors where more “coverage” is needed. We will help advise you!